What does it take to succeed in the PR Fashion Industry? Since joining the Ottawa Fashion Week (OFW) team in 2011, Operations Manager Payton Kennedy has seen many changes in the PR Coordinator role. One thing remains true: the position involves an industrious character. 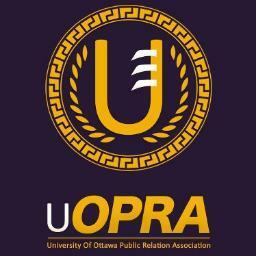 OFW invites Young PR Pros into the world of publicity and catwalk preparation as it celebrates its 10th season for our four-part series, Take uOPRA to Work Day. We talk about some skills that come along with the position. With 17 designers currently on the Spring/Summer 2014 roster, Payton gives Young PR Pros hosts Kristine Simpson, Julia Kent and uOttawa PR Association (uOPRA) President Sharon Cheung some insight on how this volunteer-based event flourishes. Looking back at past guests of Young PR Pros, Kristine and Julia realize just how popular PR in Fashion is in Ottawa. From interviewing Darcy Boucher a previous OFW PR intern for Young PR Pros’ first video podcast to William Johnson a previous Social Media Coordinator, Ottawa is truly growing in the world of PR and in Fashion. For the third episode of Take uOPRA to Work Day, Young PR Pros sits down with Ian Capstick of MediaStyle, a communications agency here in Ottawa to discuss competition in communication agencies from Ottawa to Toronto and Montreal and what to expect from communication agencies. This entry was posted in Take uOPRA to Work Day, Young PR Pros podcast and tagged communications, Fashion, julia kent, kristine simpson, marketing, payton kennedy, PR, pr pros, public relations, sharon cheung, take uopra to work day, university of ottawa, uopra, young PR professionals, young pr pros, young professionals, young pros by Kristine D'Arbelles. Bookmark the permalink. Kristine and also Julia recognize precisely how popular PAGE RANK in fashion is Ottawa.